Charlie Williams entertains his fans at Grappenhall, near Warrington, on April 20. Multi-TT winner Charlie Williams entertained an enthusiastic audience at the Grappenhall Ex-Servicemen’s Club near Warrington with tales from his illustrious road racing career on April 20. 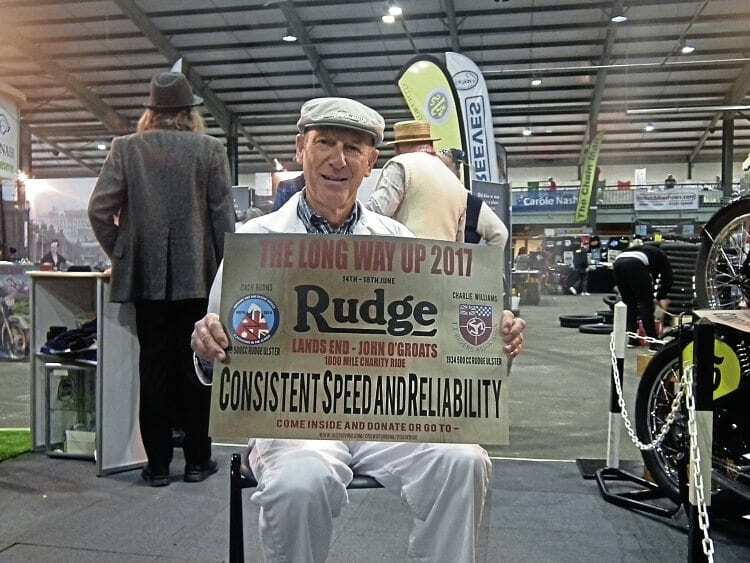 He took along a Maxton Yamaha and a prewar racing Rudge, the latter to emphasise a 1000-mile Land’s End-John o’Groats charity ride entitled ‘The Long Way Up’ which he and Zach Burns will be undertaking from June 14-18 with the aim of raising £5000 between them. 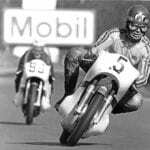 It was one of the world’s first true Superbikes, but after a lengthy development period the 750cc BSA Rocket 3 had already been upstaged by Honda’s 750 Four by the time it hit the market in time for the 1969 season. With acres of polished metal, a stylish tank and trim-looking side covers, John Abram’s Mk.2 BSA Rocket 3 is a delight on the eye. While its performance was never in doubt, its squarish fuel tank and large side covers gave it something of a slab-sided appearance, and those ‘ray-gun’ silencers were probably a bit much for some enthusiasts as well. 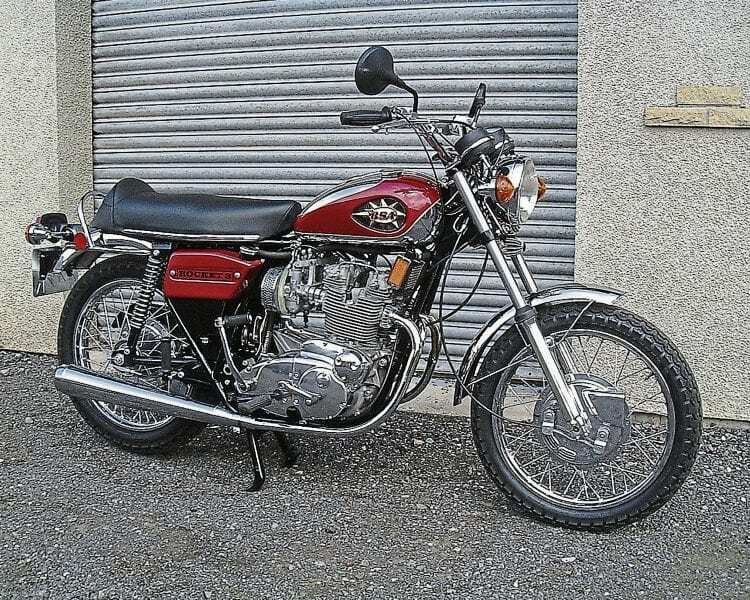 By 1971, a totally restyled Mk.2 Rocket 3 was being exported to the USA featuring a smaller and perhaps less practical tank together with a generally tidied-up appearance, and its lighter, leaner styling included revised mudguards, simpler side panels, tapered megaphone-style silencers, slimline forks excluding gaiters and shock absorbers with exposed springs. 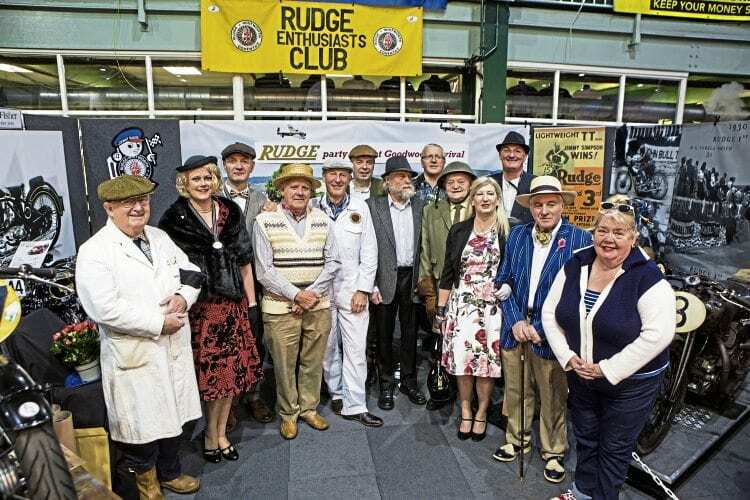 The Rudge Enthusiasts’ Club took the award for the best club stand, with members dressed up in the old-fashioned way. Note Charlie Williams, in white overalls in the middle, who’ll soon be embarking on a Land’s End-John O’Groats charity run with Zach Burns, on two Rudge Ulsters. 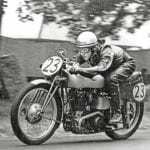 Two rare AJS machines made history at the International Classic MotorCycle Show at the Staffordshire County Showground over the weekend of April 22/23. 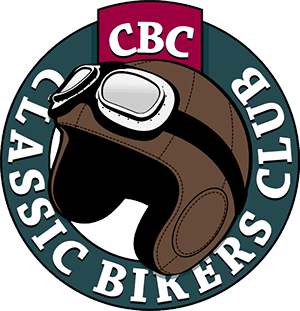 The identical 1928 AJS K10s, in the custodianship of restorer Alan Smith, were immediate stand-outs for the judging panel at the Carole Nash-sponsored exhibition, so it was no surprise that they were revealed as the best motorcycles in the show. 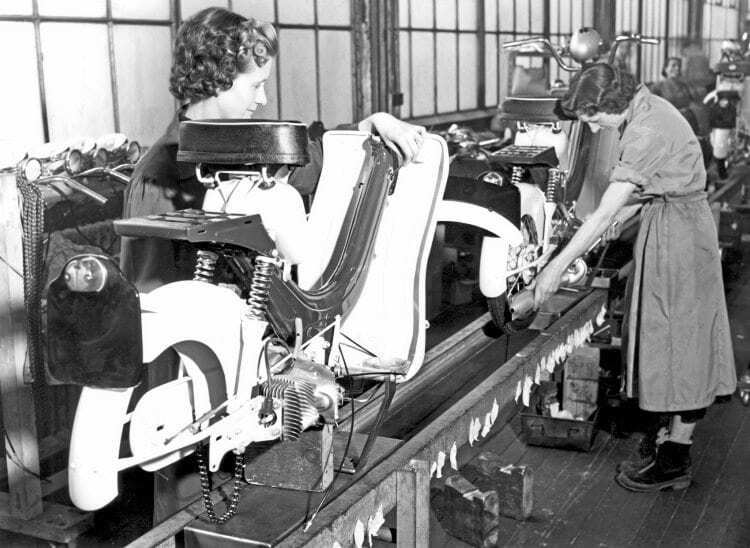 This archive photo from the BSA press office shows women putting the final touches to BSA Dandies on one of the lightweight scooter assembly tracks at the Birmingham factory in 1957. 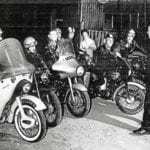 Scooters from the continent, the moped boom, the Japanese invasion… from the mid-1950s, throughout the 1960s and into the very early 1970s so much was happening in the motorcycle world that at times it seemed Britain’s leading manufacturers just didn’t know which way to turn, writes Pete Kelly. 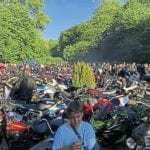 Mention the words ‘Dandy’, ‘Pixie’, ‘Beagle’, ‘Tina’, ‘Easy Rider’ or – dare we mention it – ‘Ariel Three’ at any gathering of greybeard motorcyclists and the mirth will spread like a circular ripple in the water. Within minutes they’ll be talking about ‘final nails’ and ‘coffins’, and the subject of where it all went wrong will keep them animated for the rest of the evening. 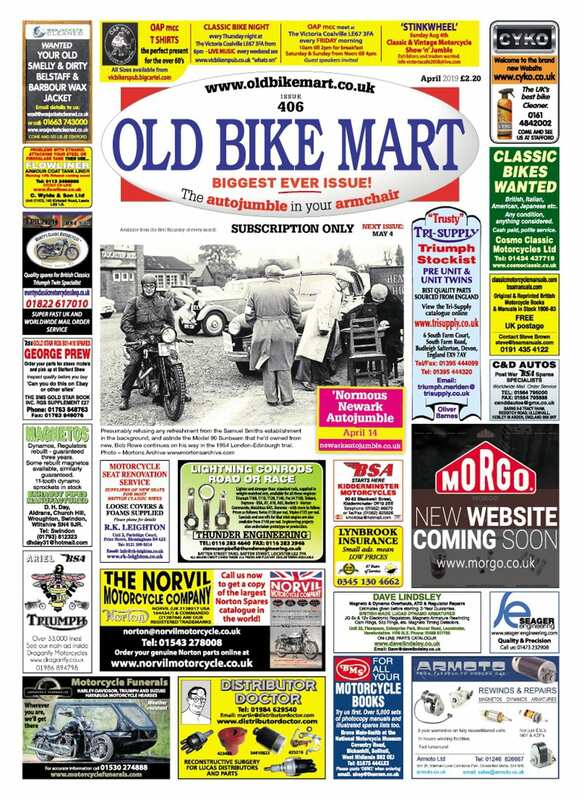 Exploring the Mortons Archive with this feature in mind, it was interesting to see how the motorcycling weeklies received some of these unsuccessful British efforts to find new markets and ultimately to keep the industry afloat. Starting with the 70cc BSA Dandy that was first revealed to the public at the Earls Court Motor Cycle Show in November 1955 (in the company of a nice-looking BSA Beeza scooter that didn’t even make it into production – but that’s another story) the first things visitors noticed were its pressed-steel frame and its horizontal two-stroke engine with the air-cooled cylinder head facing backwards. Still looking as good as new, this is the very same 1974-built Suzuki RE5 that was road tested by John Nutting for a Christmas scoop in Motor Cycle. 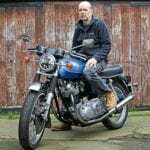 Despite wall-to-wall coverage in the motorcycle press during the mid-1970s, so few Suzuki RE5 rotaries were ever sold in Britain that little has since been written about these revolutionary machines that were so simple in theory, but so complex in reality, writes Pete Kelly as he visits Roger Jones in Staffordshire. 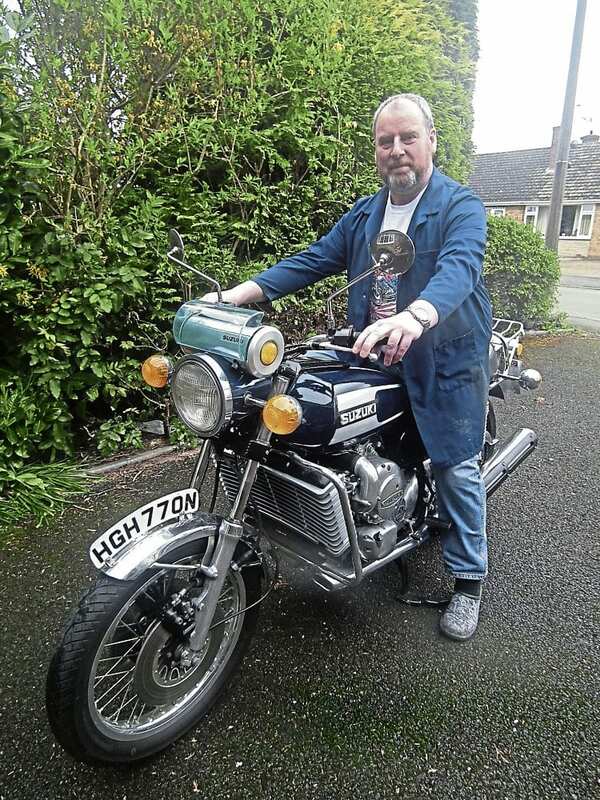 Following last month’s feature about Glenn Jenkins’ collection of Suzuki RE5 rotary motorcycles, we promised to tell a little more about his chief mentor, Roger Jones from Penkridge, Staffordshire, this month. Roger has owned RE5s for 37 years, and still helps Glenn and others to keep their bikes on the road by supplying knowledge as well as spare parts from the rapidly-diminishing worldwide stock. His involvement with the Suzuki rotaries began in 1977, when he worked in the village motorcycle shop Ride-On Motorcycles, whose owner Roger Hammond let him clean and partly service his own RE5. “I could never kick-start it like I could the other bikes,” said Roger. “My boss rode it to the Isle of Man and was overwhelmed by the interest that was shown in it, and when he returned he told his customers all about it. As I was a young, cocky biker always looking to own and ride something different that stood out from the others, the RE5 seemed just up my street… if I could find one. “Roger told me that the Suzuki Centre had one, but wasn’t sure whether it was for sale or just for show. It had been for sale, but I was too late – it had already gone. To make things even worse, the new owner lived at the local pub only 500 yards from my house, so I could hear and see the machine. He didn’t ride it very often, though, and eventually I persuaded him to sell it to me. Read more on these articles – PLUS more News and features AND your favourite regulars – in the May 2017 issue of OBM… on sale now!